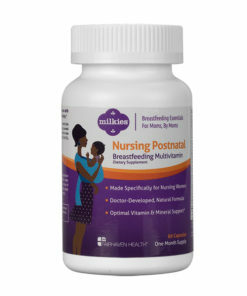 This bundle contains the Milkies Freeze and one box of Milkies Breast Milk Storage Bags (50 bags per box). This is the perfect bundle to help keep your breast milk protected and organized in your freezer. 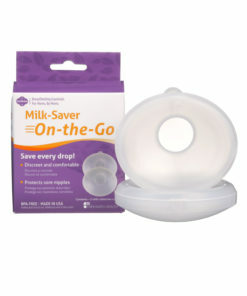 Convenient ‘First-in, First Out’ Milk Storage System with Leak-proof Storage Bags! 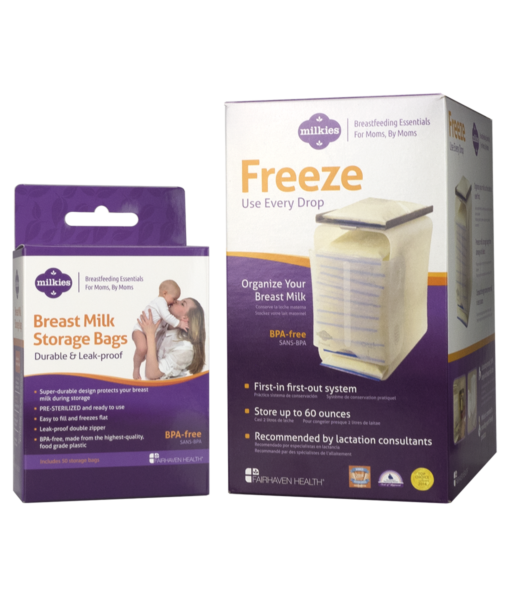 Once you’ve pumped or collected extra breast milk and you’re ready to freeze that milk to save it for later, simply transfer your pumped milk into our Milkies Breast Milk Storage Bags. These bags are one-of-a-kind with reinforced sides, so the bags won’t break and a double zipper closure so your milk won’t leak out. You’ll notice these bags stand up, making it easier to pour your milk into the bag. You can use the label on top to write the date and how many ounces before freezing! They are BPA-Free and have storing guidelines printed directly on the bags. 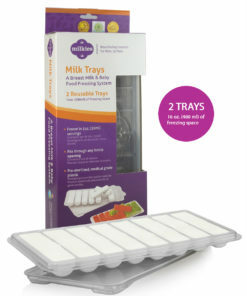 Once you’ve filled your storage bag, transfer the filled bag to the quick freeze metal tray on top of the Milkies Freeze. Once the bag is frozen, slip the bag into the Freeze storage system through the slot at the top, and the bag will fall to the bottom of the container. 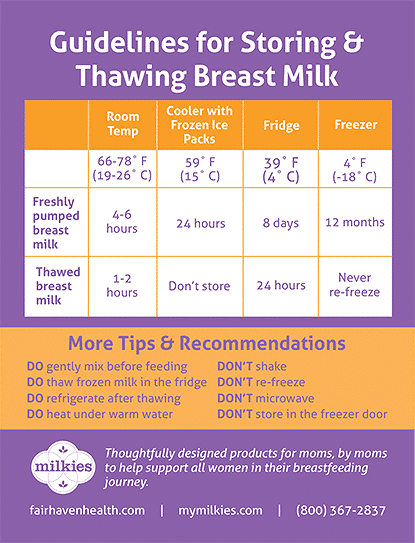 When you need to thaw a bag of breast milk to feed to your little one, pull a bag out from the bottom of the Freeze – that way you are sure to use the oldest milk first! 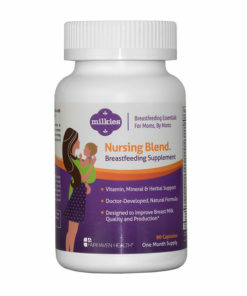 For the full list of frequently asked questions for the Milkies Freeze, please visit the product page. 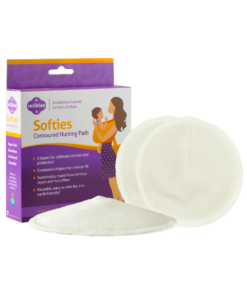 For the full list of frequently asked questions for the Milkies Breast Milk Storage Bags, please visit the product page. The storage bags are the best I’ve ever with all three kids. None of them have leaked or busted like all the other brands I have tried. The flat lay storage makes it so easy to freeze nice and flat so I can store more in a smaller space in my deep freezer. Love both of these products. Glad you’re finding the Milkies breast milk storage bags and Freeze unit to be helpful in storing your “liquid gold.” Thanks for sharing your experience!